One of my recent Architecture project assignments,, was to replicated a certain space from the Barbican centre, as known as 'fake but accurate'. 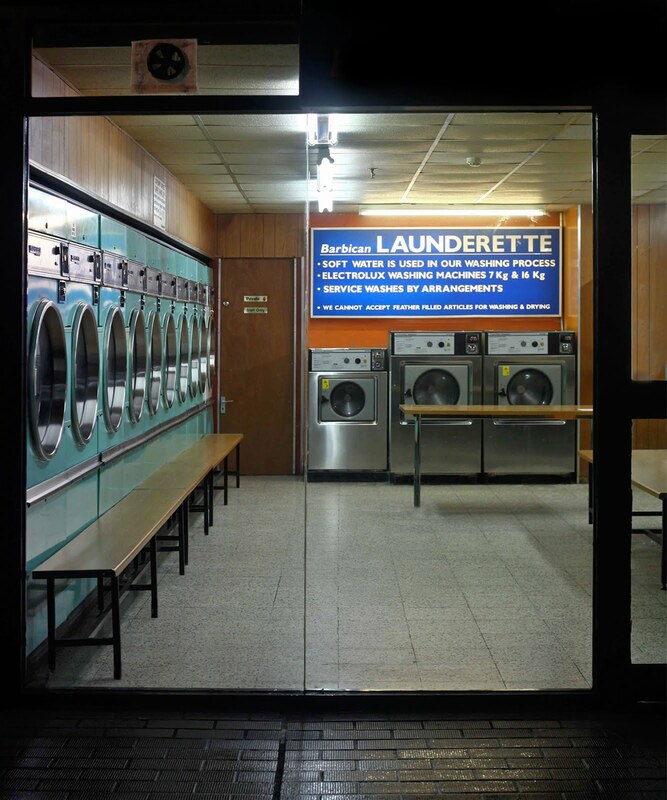 I've chosen the Barbican laundrettes, old fashioned, yet it still has the historic atmosphere of laundrettes from the 80's. 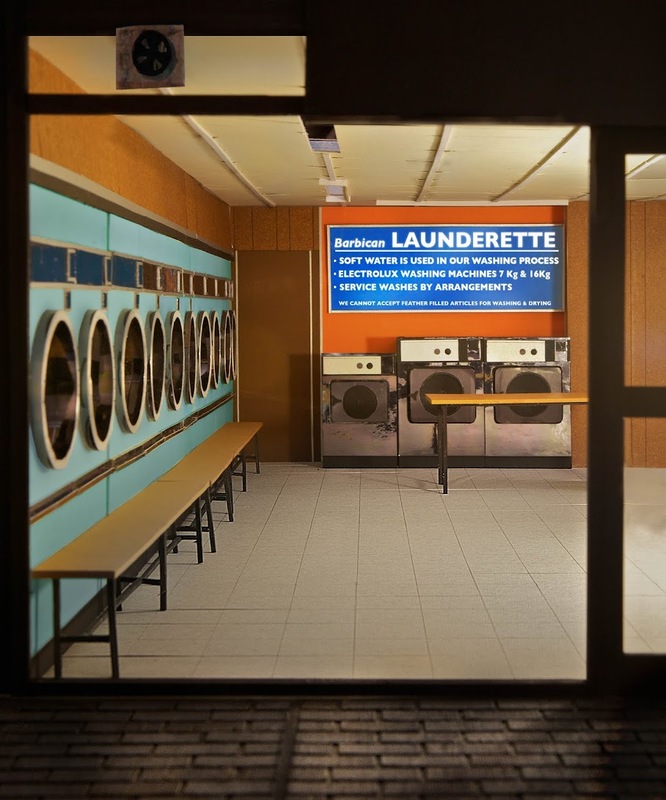 It's a fairly practical space, simple but effective, you load your dirty clothes in the washing machine, pay with coins and simply just wait. There's so much you can duplicate in a model to make like the original, as a comparison for paper materials and colour tones. I forgot to mention, everything in this hand made model above, just uses paper. This night time photograph captures the framing of the window simile to a canvus photograph, showing interaction of public space from the exterior and interior.